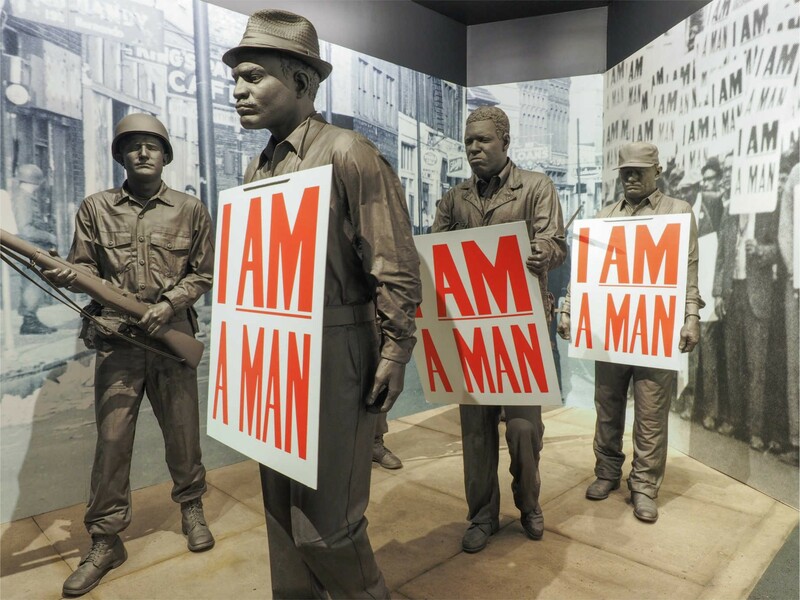 Statues in the National Civil Rights Museum represent African American men in protest. Image courtesy of the National Civil Rights Museum. 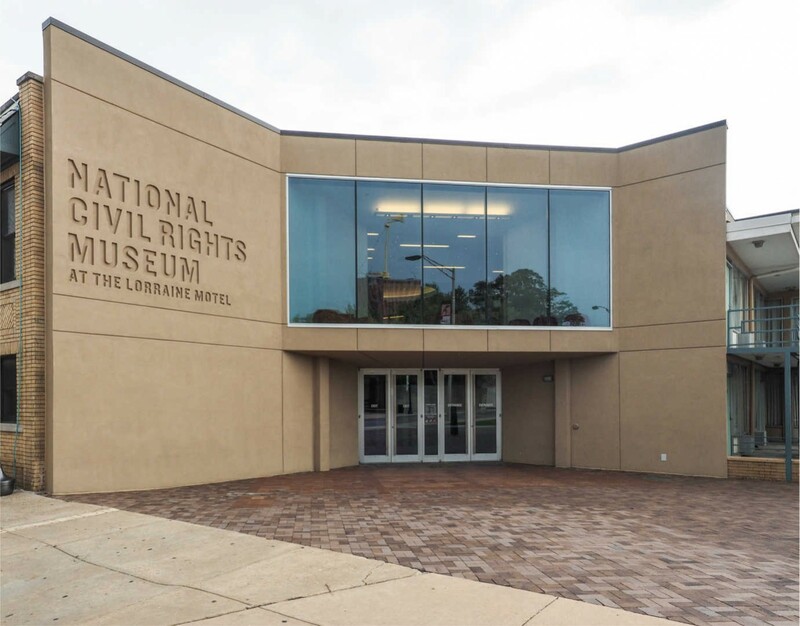 In Memphis’s Lorraine Motel, where Martin Luther King, Jr. was murdered, the National Civil Rights Museum honors King’s legacy by telling the story of the Civil Rights Movement and the economic and social inequalities that gave rise to it. First opened in 1991, the museum underwent a massive, 18-month renovation, reopening in 2014. 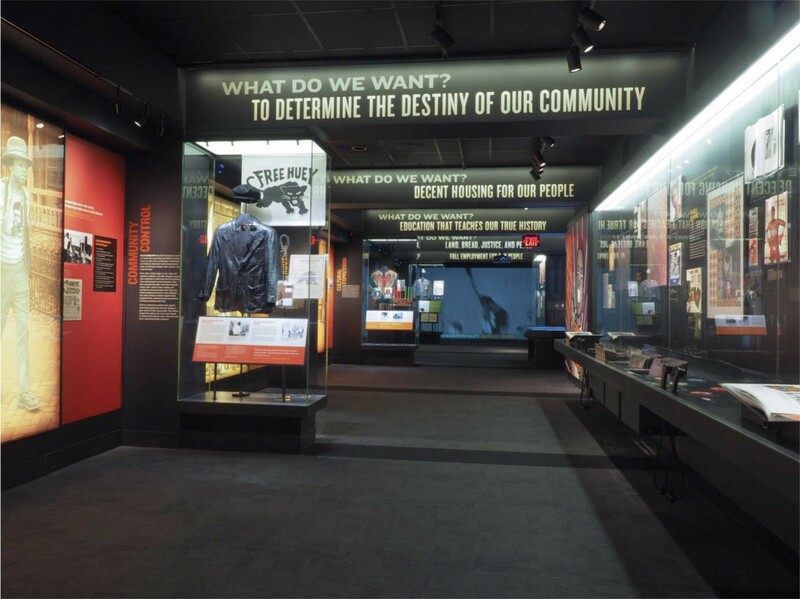 Supported with an NEH public programs grant, the new 14,500-square-foot permanent exhibition tells the story of resistance to slavery from 1619 and continues through the Montgomery bus boycott in the 1950s, the student sit-ins and the freedom riders of the 1960s, and the Black Power movement in the 1970s. Overall, the museum examines King’s legacy and that of the Civil Rights Movement, demonstrating how they continue to influence human rights issues across the world. The National Civil Rights Museum's new 14,500-square-foot exhibition, supported by an NEH grant, tells the story of resistance to slavery starting in 1619 and continues through the Civil Rights Era. Whereas the original museum relied on text-heavy displays, the new exhibition incorporates rich audiovisual and interactive elements. These include large three-dimensional, motion-sensitive exhibits. A replica of a 1950 Montgomery, Alabama bus features sculptures of a bus driver and Rosa Parks; when visitors enter the bus, the driver begins to speak, telling them to “move on to the back.” Other short films highlight “small acts of courage,” that recognize the countless, nameless people who have participated in civil rights at the grassroots level and have helped propel change. An NEH challenge grant helped the National Civil Rights Museum grow an endowment that sustains its future and supports humanities programming. Image courtesy of the National Civil Rights Museum. In addition, an NEH challenge grant helped the museum establish its first endowment fund with the $3 million raised. The museum has leveraged this funding to grow an endowment that helps sustain its future and supports humanities programming that encourages understanding of the Civil Rights Movement. The museum provides a monthly, free Lunch & Learn program. Past lectures have covered such topics as the “The Civil Rights Movement: A Cultural Revolution” and “Freedom’s Front Line: The Voting Rights Struggle in Fayette County, TN.” A leadership academy is provided for African American high school students, and the museum hosts regular teacher workshops, and book and curator talks. Cumulatively, the renovation and endowment have helped the National Civil Rights Museum broaden its reach. It welcomes 300,000 visitors per year—a 66% increase in attendance. Approximately 80,000 of these visitors are youth visiting through school groups and with their families.